Spain offers great opportunities for ecotourism. Ecotourism and nature lovers may enjoy the spectacular beauties of the Spanish lands carved in wonderful national parks, nature reserves and protected areas. Below are the most popular and loveliest destinations, national and natural parks for ecotourism in Spain. Located in the La Gomera island, here lies the most ancient and best preserved forest in Europe, declared a World Heritage Site by UNESCO. 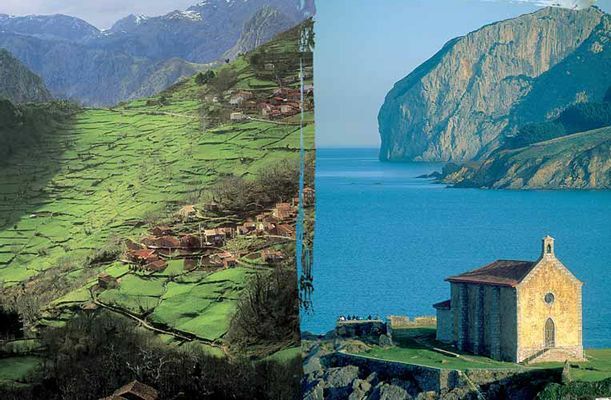 It is situated on the Cantabria region on the north-west of Spain. For having a nice nature holidays, it is an ideal destination with great views. Sierra Nevada is famous with its highest mountain peaks on the Iberian Peninsula. Sierra Nevada is a popular ecotourism spot and ski resort in Spain. The forest cover of the Sierra de Gredos includes extensive stands of the famous Scots pine. Castile Leon and Sierra de Gredos offer a wide range of of wildlife. Located in the middle of the Seville, Cadiz & Huelva triangle, Doñana Natural Space, also known as National Park of Doñana is one of the most popular and loveliest natural parks in Spain. Bordering Cangas de Narcea, the Somiedo district boasts the Somiedo Natural Park and Nature Reserve that is an extensive swathe of woodland and lakes. It is located nearby the town of Aracena, on the south-west of Spain. The Picos de Aroche are a geological whim formed by nature. The park is located between Cadiz and Malaga in Costa de la Luz. It is one of the rainiest regions in Spain. The region is a mountain area declared as a natural park. The Teide National Park is located at the center of Tenerife, Canary Islands. It has very attractive natural sites such as the volcanic crater which measures up to 10 miles (16 km) in width.